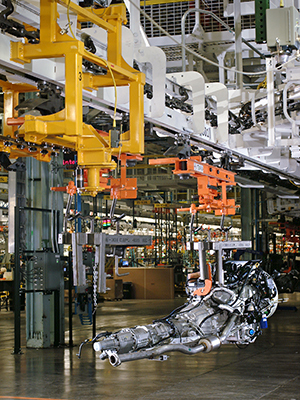 With the best service and broadest product offering in the industry, ASI provides design, manufacturing, and installation services for any material handling solutions found in automotive applications, including AGV’s, electrified monorail (EMS), skillets, flat tops, friction systems, 3”, 4” and 6” power and free (P&F), AutoFlex / enclosed track P&F, and finishing systems. We also specialize in automation, such as fork transfers, shuttles and body marriage stations. 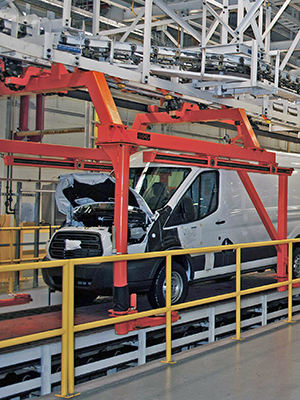 ASI Conveyors link production processes together, provide paced production, bring parts to automation and workers. 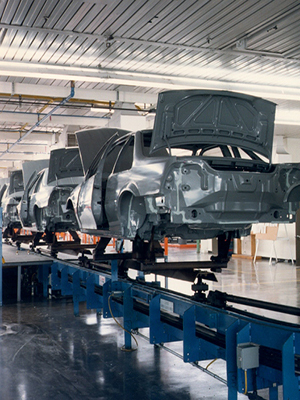 Anything you see moving in an automotive plant is “work in process” can be provided by Automatic Systems, Inc. and our team. As many plants today run 3 shift operations with no daily shut down. ASI Conveyors are either are the main production line or they link production lines. They are built strong and reliable since they must operate continuously.